FREE! 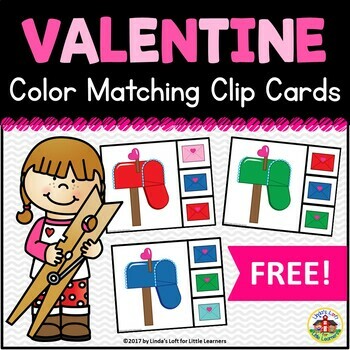 Practice color matching and reinforce color recognition with these simple and engaging Valentine's Day Color Matching Clip Cards. 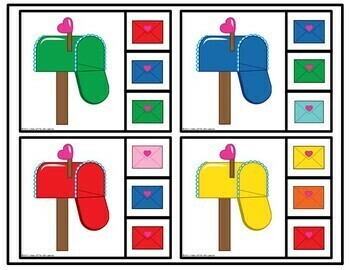 These are perfect for use at a center, for a busy bag, or quiet time activity that toddlers and preschoolers can complete independently. 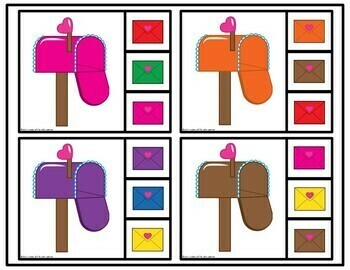 Children simply place a clothespin on the envelope that is the same color as the mailbox. There are four clip cards on each page for a total of 20 cards. 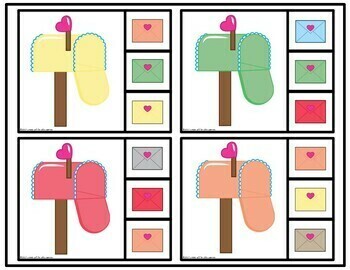 ⭐Click here to check out other Valentine resources. Be the first to learn about store sales and new product postings! Just click on the "Follow Me" star under my store name on this page.